Hello, great site you have here a LOT of talent out there. I would like some custom art work created for me. I am a disabled vet and I am building my own 3-wheel bike (trike) this winter so I can still ride. I will have to have the seat custom made, the seat shop can put graphics in the seat, they have some neat examples of things they have done. The seat will be a king queen vinatage style seat with high backrests. Now I have tons of jpgs, and so does google images. I could just slap something "kool" on it and be done with it, but would like to explore the option of getting some art made for me. I am open to all sorts of designs, I am looking to tap someone elses creative flow, but I do desire the following. I want a tribal tattoo style that has the three letters (cuz) somehow in it. I would prefer if the letters don't STAND OUT, but rather be almost invisible unless you know what your looking for then you cant help but see it.if that makes sense? While I am looking for your designs, and will consider anything, I have thought that using an animal as the tribal "base" might work well. I like these animals for this concept. While I love skulls and flames, they wont work on this bike so I need to avoid them. I am not sure how much to offer for such a design? I dont want to be insulting with a low offer as you guys seem to have a lot of talent around here. but I also live on a fixed income and am trying to build a bike on it, so that means if its going to cost a lot, I will have to go with google "flash". I was thinking, I plan to spend $400 on the seat, if I were to spend 10% of that cost designing a graphic that would be acceptable, is $40 within reason for what I am asking for? How is best to handle this process, I will try to research the other ads to see how its done around here, but if someone could just cut to the chase...would save me time. I am in no hurry to get this done with, it is a winter project. So anyway, thats my saga...thanks for reading. 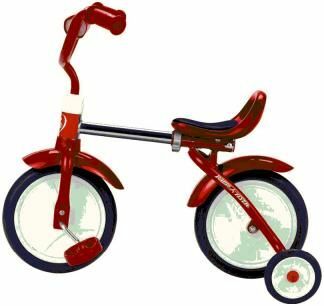 Edit: now that I can post pics, here is a pic of a trike, while mine will be a bitdiffrent it will be very much like this one. especially the seat. Seems like a legit job offer... any takers? Is it a bicycle or a motorcycle? $40 is extremely low for something like that but you were very sincere and asked very nicely and gave plenty of detail and your story is a nice one which people will want to contribute to. You will get plenty of help here. The people are very nice and love to contribute to honest people like yourself. Good luck in your project. I'll check back later to see how this thread goes. Ditto what ReyRey said. You should post pics of your project as inspiration as we are not all bikers. I have no idea what this seat looks like. Our resident biker expert is a riding over the rainbow bridge and we can't get hold of him to help us. Here is my idea! Colours are changeable and the CUZ is in the design. If this is in leather you could have them stich in a different colourfor effect. Oh yeah the price for a veteran is zero and you can choose whatever currency you wish. I gave this @ 5 minutes, a picture of the bike seat would help, this post did arrive with some other spam so I hope you post something more to prove you're real. Thanks for all the positive feedback...To answer your questions. It is for a motercycle seat, and here is a picture of trike somewhat in the style mine will be. My seat has not been built yet but will be this style (though the drivers portion might have a tad higher backrest, and overall width might be a little more. Anyway I am to new to post a pic apparently so hope you can follow this I will post proper latter. Yeah, I am not a spam bot, lol just a biker whose feet dont work well enough to hold up a 2 wheeler. Thanks again for welcoming me, agreeing to help, and even starting to submit designs...really fills me with hope that this idea is going to work! I like this 3 wheeler! Here's one from a local singer, Martin Deschamps. Thank you for posting a link to my pic. Cool work seamusoisin & Paul! If you could give the seat dimensions and the seat style or shape would help a lot. I have designed 2 seats for a mates pedal bike with his company logo on it and would like to give this a shot for free, cause ya asked so politely and honestly. Sorry cant provide dimensions as I havetn designed the seat yet. but the pic posted above shows the basic style of seat that I will be using. Ok so its not a pan seat as such more of a banana seat, so I guess Im looking at long and skinny then? One more quick question. leather or vinyl, you can have finer detail with leather due to its strength compared to vinyl?